Over the past 150 years, countless events have animated Town Park during the summer months. On June 30th, the eve of Canada Day, Town Park becomes one big dance floor when the Rotary Club of Aurora host their annual Dance in the Park. The 2017 edition of this event was renamed Party in the Park to celebrate Town Park’s 150th birthday. 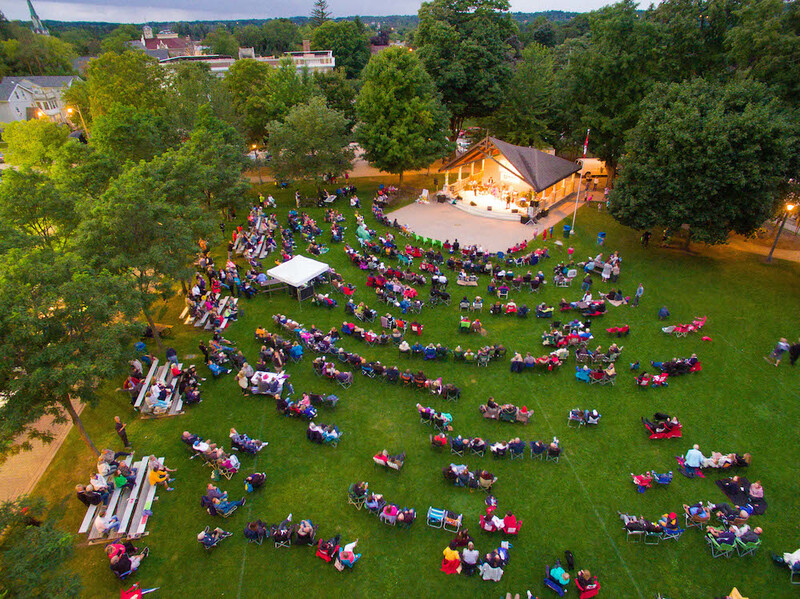 Music in the Park is as old as the Park itself, whether it was the 12th Battalion Band striking up a tune during the 1800’s or the “Big Bands” of the late 1940’s and 1950’s – when summer came around there was music flowing from the Park. The Concerts in the Park series, formerly Music in the Park, has been a regular feature during the summer months since 1970. In 2006, Movies in the Park started, which brought a new aspect of technology and open-air entertainment to the landscape. Summer would of course, not be complete without the weekly market envisioned over 150 years ago by John Mosley. 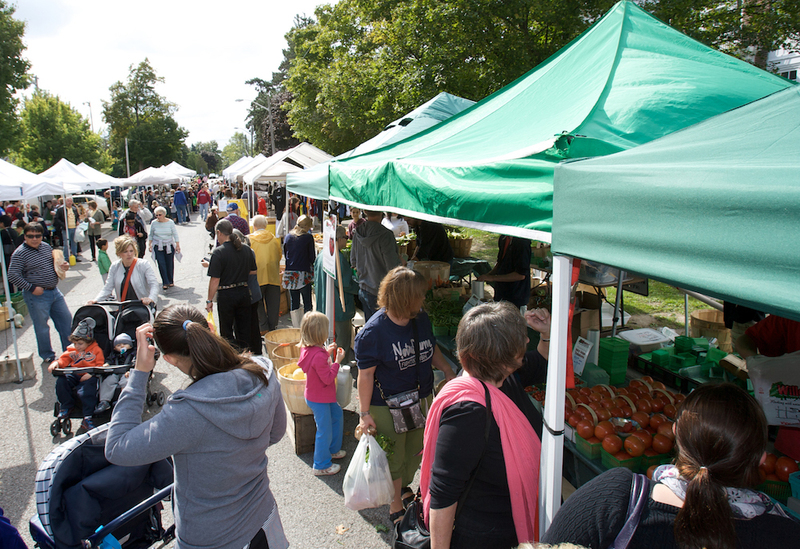 Although it has been in several locations over the years, the Aurora Farmer’s Market & Artisan Fair is a fixture in the Park enjoyed by both local residents and visitors alike.